Hello Elks members and Elks scholars! 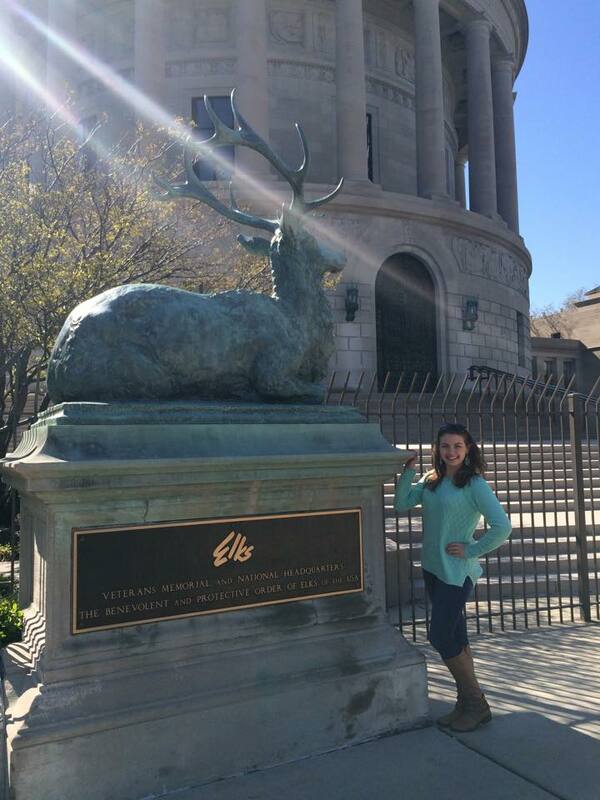 My name is Maryann Slater, and I joined the Elks National Foundation staff last week as the first Elks Scholar Fellow. 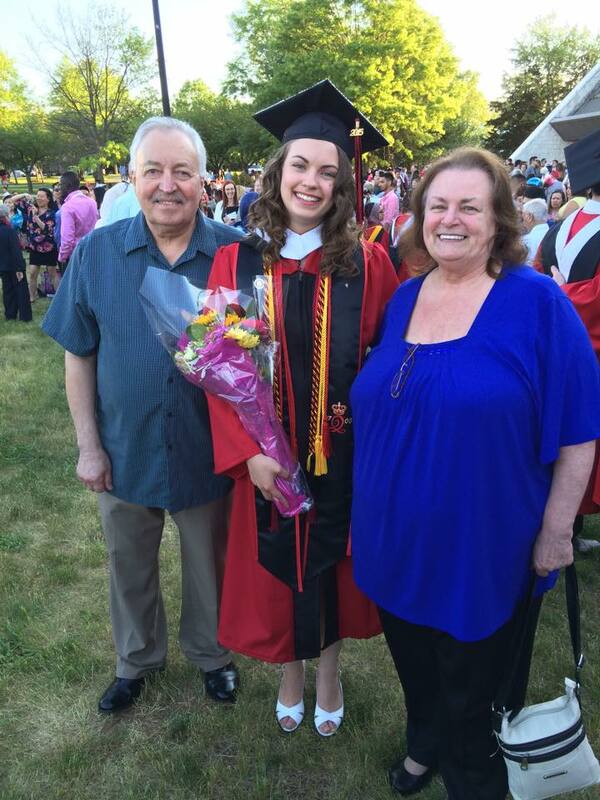 I recently graduated from Rutgers University and moved from New Jersey to Chicago at the beginning of the month. 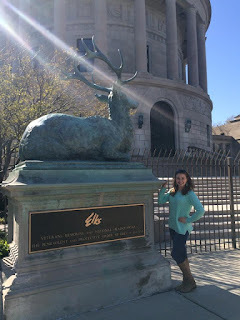 My position is a two-year fellowship, and I am in charge of promoting, planning and leading three Elks Scholar Service trips each year. These trips will allow Elks Scholars to travel and serve in a location somewhere in the United States for one week while giving back in the name of the Elks and learning how to become active citizens who are committed to a lifetime of service. Click here to learn more. Whether it’s moving to a new city, starting a new job, changing your major, or planning that vacation you’ve always wanted to take, there is no time like the present to take a leap of faith and start working toward your goals. After moving far from home to dive into starting a new program, I’ve learned to not ask myself “What could go wrong?” but rather focus on what could go right while learning from and enjoying the journey as it happens. As a member of the Order, as an Elks scholar, and as an ENF donor, I have experienced many of the ENF’s programs. However, I did not fully realize the breadth and depth of many of the programs that we offer until I started my new position. After training with staff throughout the week and learning about our many programs, I have gotten a glimpse into how many different projects are funded by our grants, just how rich the Hoop Shoot’s legacy is, and how constantly evolving the ENF is in an effort to better meet Lodge members’ and communities’ needs. If you’re highly versed in one area of the ENF, take some time to look into its other offerings as well—you will be filled with so much pride as you gain insight into what your donations do for so many different people across America. As a born-and-raised Jersey Girl, I am still getting used to smiling faces asking me how I’m doing as I walk down the street or enter my apartment building. I’ve also learned that “pop” is another term for soda, well, the only term for soda out here. While the Midwest is certainly a lot different from home, I can honestly say that the transition will be made a lot easier by working with the talented, passionate and welcoming staff here at the Elks National Foundation. Everyone on staff at the ENF is very talented at what they do. With so many different and highly diverse departments, it is amazing to see how each person brings something new to the table. When the entire staff works together, thousands of lives across the country are changed through Elks programs. This is the exact same dynamic that plays out in each Elks Lodge—each member brings something different to the table, and when members work together they make positive changes in their community as they serve local needs. Never forget to share your talents with those around you! I grew up in an Elks family and have heard this phrase my entire life. I have also seen the generosity of the Elks firsthand in many different settings. And after only one week at the ENF, I have heard so many new stories of this phrase being played out in real life by Elks volunteers, Elks scholars and ENF donors from all over the country. 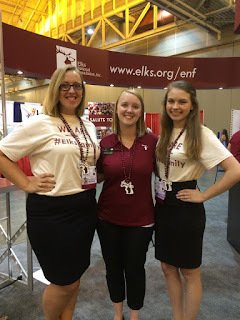 Each individual story of how the ENF’s grants and programs have impacted lives makes me so grateful to work in a place that is having an impact on society through the work of Elks members, ENF staff, and donors just like you!